To win simply whip up your favorite recipe using any type of Bob’s Red Mill Steel Cut Oats (yes, they now have Certified Gluten Free Steel Cut Oats, too!). Here are the details and good luck!! Winning recipes must use no more than two burners on the stovetop. Winning recipes will demonstrate a creative use of oats. Winning recipes will be prepared in less than 30 minutes. Open to US citizens over 18 years of age, only. 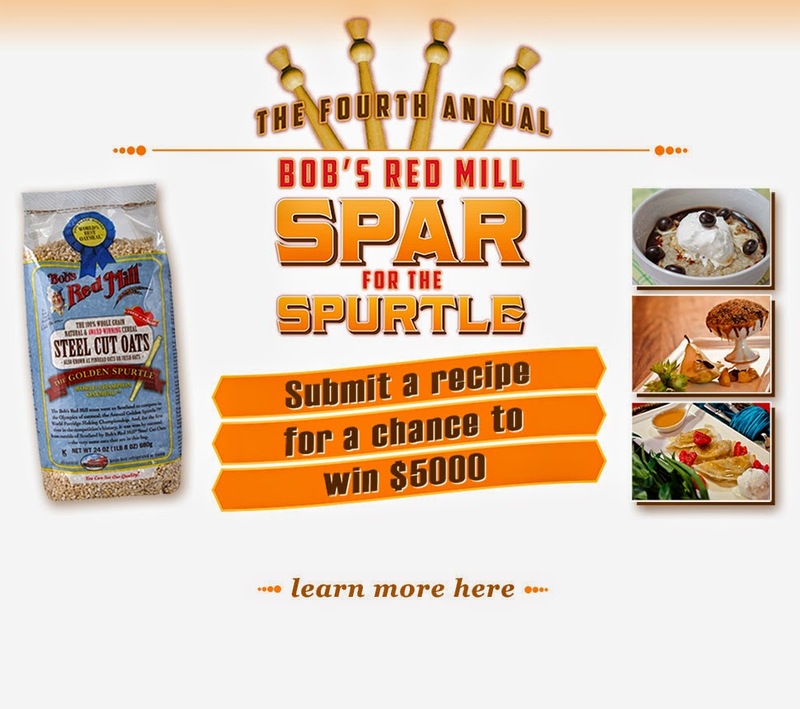 Submissions will be accepted via the recipe contest Facebook App or can be entered on Twitter and Instagram using the hashtag #sparforthespurtle.